Franklin Armory’s Reformation: Flop or Fantastic? 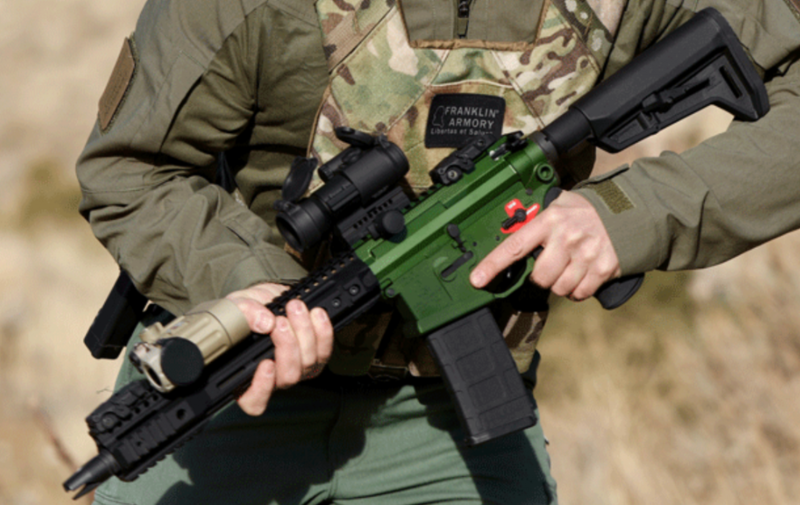 Well, you've likely heard the news about Franklin Armory's newest product. You know, the one behind the hype and excitement. We received numerous emails from the company, teasing us on what was sure to be something fantastic. What was it? Was it an SBR? Maybe, but it didn't need the tax stamp most short barreled rifles need. Was it a pistol? Well, no not exactly. What is it? Well, I have personally spoken to the sales rep from the company, and can say that it is different, to say the least. They are calling this an NRS, which stands for: Not a Rifle or Shotgun. Since it is not a rifle or a shotgun, it cannot be an SBR or an SBS. For that matter, it's also not an AOW (any other weapon), or anything needing a tax stamp. Instead, it's classified as a firearm. Now, I suppose I could take up an entire article explaining the different classes of firearms, but since I'm actually at SHOT Show as I write this, that ain't happening right now. Instead, let's talk about the specifics of this firearm, and what makes it weird, er, different. Proprietary projectile for the new NRS platform. First, what we were told, is that the .300 BLK chambered 11.5 inch barrel is not rifled in the traditional sense. It has straight cut lands and grooves that are specifically designed to shoot a projectile that looks like a fat dart from the dartboard at your local bar. As you can imagine this doesn't make for a very accurate rifle when you're shooting regular ammo, but you can use regular ammo. We were told that they get 4 MOA out of this firearm with regular ammo that you can currently buy at your local gun shop, but accuracy improves once you start running their proprietary ammo through it. 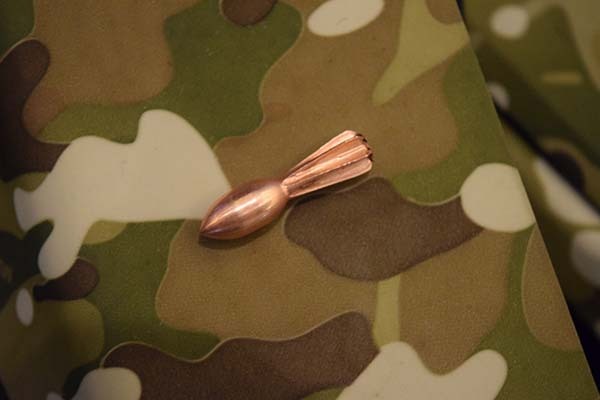 That ammo is what is pictured above, and as you can see, it looks like a dart. They let me put a few rounds downrange at Industry Day, and it shoots just like any regular SBR would. The only difference, is that this one is $2,000 to get if you want all the goodies, like the BFS, included with it. If you're good to go without the binary trigger, price drops to $1,600. And, if you wanted just the upper, I'm told it'll run you about $1,000. As of right now it seems as if the reception of this new platform, the Reformation, is getting mixed emotions from the gun industry as a whole. Is it fantastic or is it a flop? Time will tell, ultimately. What I want to know, is what do you think? Have you subscribed to our YouTube Channel yet? Make sure you do because we're just getting started here, at SHOT Show 2018. 2 Responses to Franklin Armory’s Reformation: Flop or Fantastic? Will the round be faster or go farther or create more stopping power? If it doesn’t do one of these things vastly different, then it’s a Flop. I wouldn’t spend $2K just see how a different bullet design does what the current bullet design does. It *will* go faster. Rifling converts translational kinetic energy to rotational kinetic energy and frictional heat. Without it, velocities will increase, but at distances of 25 yards or less there will be no significant loss of accuracy. The higher muzzle velocity and the keyholing of the bullet in flight will enhance lethality. Leave a Reply to John Skookum Click here to cancel reply.